Sports Media LGBT+ is a collaborative group that seeks to work with individuals and organisations who also want to make our industry, and sport in general, more inclusive for LGBT+ people. Below you can find some of our connections. If you’re interested in having a listing on this page, please contact us with your request. Looking for LGBT sports news and content? Head to our ‘Recommended’ page! 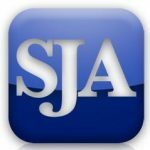 Sports Journalists’ Association – Founded in 1947, the SJA embraces all parts of the sports media but is focused on British-based professional sports writers, photographers and broadcasters. It is the largest national organisation of its kind in the world. Sports Media LGBT+ has strong connections with the SJA, through their early support for our network project and the contributions of several individuals who are members of both organisations. You can read more about our partnership on our featured page in the ‘Friends of the SJA’ section of their website. Connect Sport – With a commitment to raising the profile of community sport, in particular under-represented groups, Connect Sport works with organisations across sport to leverage the power of media and raise awareness. Having first launched back in 2011, its website now carries a Directory where listings of clubs, teams, networks, campaign groups and other bodies can be found, with a focus on championing social inclusion and the benefits of physical activity. Learn more Sports Media LGBT+’s partnership with ConnectSport here, and check out our own Directory listing here. InterMediaUK – Set up by Creative Skillset’s LGBT employee group and Stonewall in 2012, InterMediaUK is an LGBT network group for people working across the media spectrum, with representation from TV, film, publishing, advertising and computing. Based on the interests of its members, InterMediaUK provides a comfortable space for networking, forming new professional contacts, sourcing potential career and business opportunities as well as creating regular social and special events. Sports Media LGBT+ is represented on InterMedia UK’s steering committee, whose guidance and experience is greatly valued. 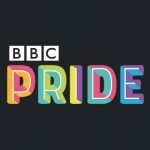 BBC Pride – The BBC’s LGBT staff network exists to support all lesbian, gay, bisexual and transgender members of staff at the UK’s leading public service broadcaster. In total, the BBC employs over 35,000 people (when taking into account part-time staff) and has a strong commitment to diversity and inclusion. Sports Media LGBT+ partnered with BBC Pride for our #AuthenticMe event at their Salford HQ in October 2018, bringing together both athletes and those in sports media to talk about their experiences of being openly LGBT in their respective fields. 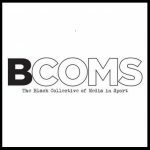 BCOMS – The networking, support and campaigning organisation for Africans and Caribbeans in the UK sports media, founded by Leon Mann in 2009. BCOMS’ overall mission statement – to work for greater diversity in our industry – is reflected by their wider inclusion work which encompasses gender, disability, sexual orientation and religion. One of the major inspirations for Sports Media LGBT+, BCOMS operates the D Word conferences – industry summits dedicated to securing proactive commitments on D&I initiatives from senior leaders and decision makers. 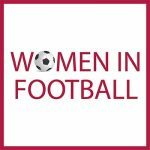 Women In Football – Founded by BBC Sport’s Shelley Alexander and The Guardian’s Anna Kessel in 2007, Women In Football is the standard bearer for gender equality in the national game, and a champion for all women who work or aspire to work in the industry. Celebrating diversity at grassroots and professional level, WiF members regularly speak up and support inclusion on sexual orientation and gender identity, highlighting related issues at their events and challenging all forms of discrimination. We’re hugely grateful to WiF for their backing of Sports Media LGBT+ and we look forward to future collaborations. 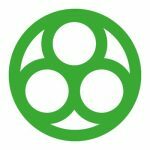 Outsports – Founded in 1999, Outsports is a sports news website based in the US which reports on LGBT issues and personalities in amateur and professional sports. Part of the SB Nation / Vox Media family of sites, it’s rightly recognised as the world leader in covering the stories of all those involved in sport who are lesbian, gay, bisexual or transgender. Sports Media LGBT+ has close ties with Outsports and is exploring opportunities with them to enable greater international co-operation and representation. Pride In Football – Since forming in 2014 as an alliance bringing together four UK club fan groups for LGBT supporters (Arsenal’s Gay Gooners, Norwich’s Proud Canaries, Tottenham’s Proud Lilywhites, and Manchester City’s Canal Street Blues), the PiF family has now expanded to over 40 groups – and it’s growing all the time. 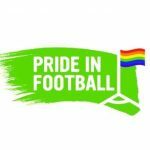 With a significant lack of representation and visibility across the men’s professional game, this movement of LGBT+ fans is working with national and international governing bodies and other organisations to address matters of inclusion, while providing a valuable resource to the media too. Pride Sports – Working to improve access to sport for all LGBT+ people, Pride Sports was the UK’s first LGBT sports and equity organisation when it launched in 2006, and remains the standard bearer for inclusion and education. PS also runs the long-running Football v Homophobia campaign, which evolved out of The Justin Campaign which was first established back in 2008. In addition, PS is a member of the Pride House International Coalition, which provides welcoming meeting places for athletes, coaches and spectators at major sporting events and traces its roots back to the 2010 Winter Olympics in Vancouver. 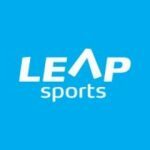 LEAP Sports Scotland – Standing for Leadership, Equality and Active Participation, LEAP works for greater inclusion for LGBTI people in sport, and against homophobia, biphobia and transphobia in a sports context. The organisation is committed to breaking down the structural, social and personal barriers which prevent LGBT+ people across Scotland from accessing, participating and excelling in sports.